The MRC considers the use of animals to be necessary in many areas of biomedical research in order to better understand the living body and what goes wrong in disease. Animal research is essential in the development of safe and effective ways of preventing or treating diseases. 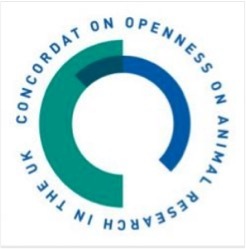 In May 2014, LMS parent organisations, the Medical Research Council and Imperial College London, joined over 70 others in signing the UK Concordat on Openness on Animal Research, making four commitments. The institute is working towards these. We will report on progress annually and share our experiences.